SATELLITES CAPTURED at Cinédanse in Montreal. 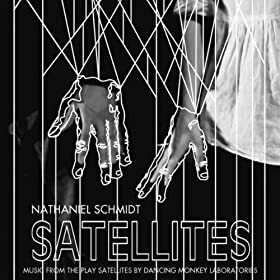 On January 12th, Dancing Monkey Laboratories short film “SATELLITES CAPTURED” will be presented at Cinédanse – part of this years Bouge D’ici dance festival. Bouge d’ici (formerly known as CoMotion Farm) was founded in 2009 to support Montreal’s up-and-coming contemporary dance artists. It was founded as a reaction to the lack of realistic opportunities for emerging choreographers or students to present their work in professional contexts. Bouge d’ici-ers believe in creating their own opportunities, sharing their experiences with others and taking their artistic development into their own hands. Follow them on Twitter here. ← I AM I – Review from Amsterdam.